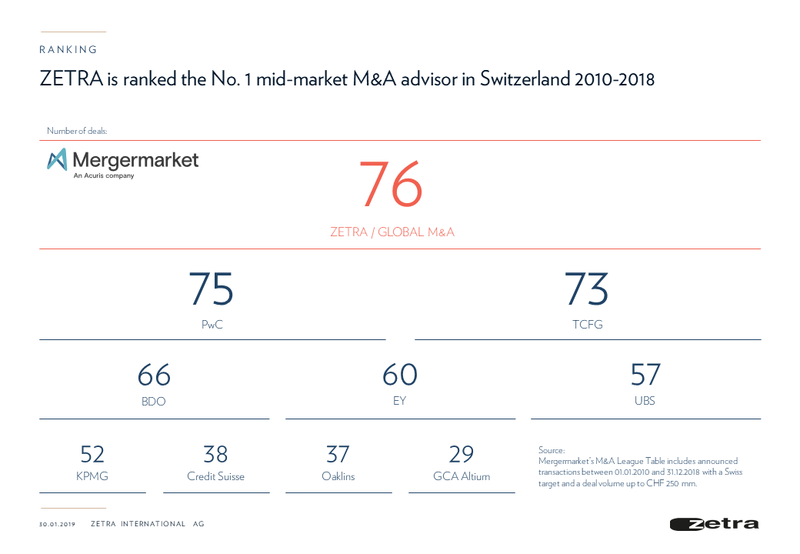 According to the Mergermarket League Table Switzerland, ZETRA / Global M&A Partners rank No. 1 for the period 2010-2018 with 76 closed deals. Mergermarket is a leading publisher of forward looking intelligence and analysis for professionals and corporates in Mergers and Acquisitions.